KamZvečer/WhereTonight is an application gathering and offering information on all music and entertainment related events happening near you. Dedicated to connecting event venues and organizers with their visitors and users, WhereTonight puts all events in one place. Their biggest asset is a unique, innovative, transparent and up to date information display mode, which offers all the information about all events in the city you are in. 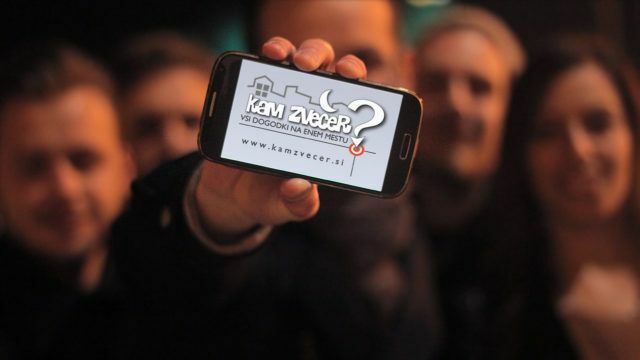 We spoke to the guys at KamZvečer to tell us a bit more about what went into developing their business and making it into a known app for finding events near you. Q: What has inspired you to start the company? Like many others we often found ourselves wondering where to spend the weekend evenings and the question that endlessly popped up was: here to go out tonight? This is how we got an idea to create a website where all the events are presented in one place. Q: What gets you out of bed in the morning? New day, new ideas and opportunities. We don’t like the monotony of everyday routines. Q: What are your biggest challenges at the moment? We are trying to redesign our application, so it will be wildly used and will change the way of having fun and partying. Q: If your startup was an animal, what would it be and why? It would be a black panther since he is patient during the day and ruthless at night. Formula One of Mountain Bike is back!